Hand dryers come in all sorts of shapes and sizes. And with science and technology constantly evolving, it’s hard to know which commercial hand dryer is best for you. A good hand dryer will quickly dry hands in an effective and hygienic way. But how do you choose the right commercial hand dryer for your business? Who Is Using Your Hand Dryers? Different hand dryers operate at different speeds. It stands to reason that the fastest and most powerful commercial hand dryers are likely to be more expensive. So the first thing you need to think about is how many people are going to be using your hand dryer and at what frequency? A small office of twenty people might not need the speediest model on the market, but a busy shopping centre or airport might see thousands of hand-washers every day. 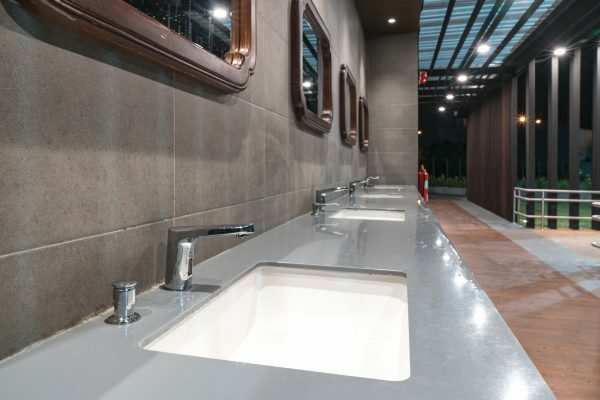 A high-speed hand dryer will therefore be essential for those businesses. Small offices or intimate restaurants may be limited on space. Or you might have a large business but a small bathroom. Choosing a compact and effective hand dryer to fit your particular space is therefore essential. Where is your bathroom located? A small restaurant with an adjacent bathroom will need to consider the noise levels. After all, there’s nothing worse than incessant hand dryer noise every few minutes if you’re trying to enjoy a romantic meal. The same may be true of an office or a small commercial outlet. Commercial hand dryers vary in terms of power and noise. Consider whether noise levels will affect your customers, clients or employees before purchasing a hand dryer. Of course, cost is a factor to consider when buying a commercial hand dryer. A certain level of maintenance is required for all hand dryers but some require more than others. Consider the expected life span of your hand dryer along with the amount of maintenance required when you’re deciding how much to spend. Although you might need to spend a little more money up front for certain models, it may well save you time and money further down the track. Davidson Washrooms have a wide range of conventional hand dryers and various other options available. For more information or personal advice on how to find the right hand dryer for your business, contact us today.